Your professional image can be damaged by small grammatical mistakes and careless spelling – as well as the absolute howlers that you just don’t pick up. When you work so closely on a document or website, sometimes you just can’t see what’s staring you back in the face; does that sound familiar? That’s where my proofreading and content editing services prove invaluable; offering you a fresh pair of eyes for perfect proofreading and a third-party perspective for sense checking and creative development in the editing process. There is nothing more off-putting for potential customers than seeing mistakes published on websites, and that’s why I work with many creative agencies and web developers to ensure their clients’ content is perfect before it goes live. I also offer an academic proofreading service for students to ensure they don’t drop valuable marks because of poor spelling, grammar or punctuation. 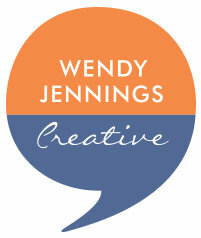 So, whether you have that all-important business card, marketing brochure, academic document or full-blown manuscript or snazzy new website, Wendy Jennings Creative can finesse your copy to give you a perfect end result and ensure that your written work faithfully and accurately reflects the quality and professional image of your business or individual ability. I am here to help quality drive your brand forward and give you that professional edge over your competition. If you need assistance with copywriting too, then ping me an email and I can certainly help. "...work is always of the highest quality and delivered ...within budget."